It was a glorious thing. 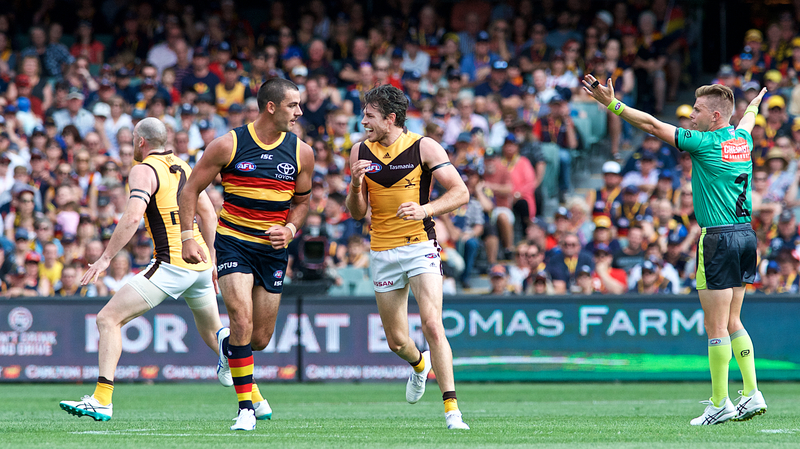 The happy throng streaming from the stands, after a summer lull the Crows’ anthem once again ringing out in triumph across Adelaide Oval. But enough about the AFLW Preliminary Final. Seriously, who’d have thought a weekend in which the Adelaide Football Club literally makes a Grand Final could be so depressing? Which is not to downplay the feat of the Crows’ freewheeling AFLW side so emphatically reaching their second premiership playoff in three years – not at all (though I’ll be honest, that one Geelong goal kinda ruined it for me a bit). In fact, their success sort of underlines the interminable frustration bestowed upon us by their ever less dependable men’s team colleagues – whose various travails I have now followed with far too much zeal for over half my lifetime, whose successes and setbacks are ingrained in my psyche as my own and whose persistent refusal to win a third AFL flag has inflicted 20 years’ worth of psychological scar tissue that I now wear like fortifying armour through every fresh failure. The latest of which came on Saturday afternoon. From the get-go, it was clear that things were awry: Eddie flew for an early mark like the Eddie of 2018 – the Eddie whose timing was always that split-second off – and thereafter the entire team was flat, sloppy, laconic. 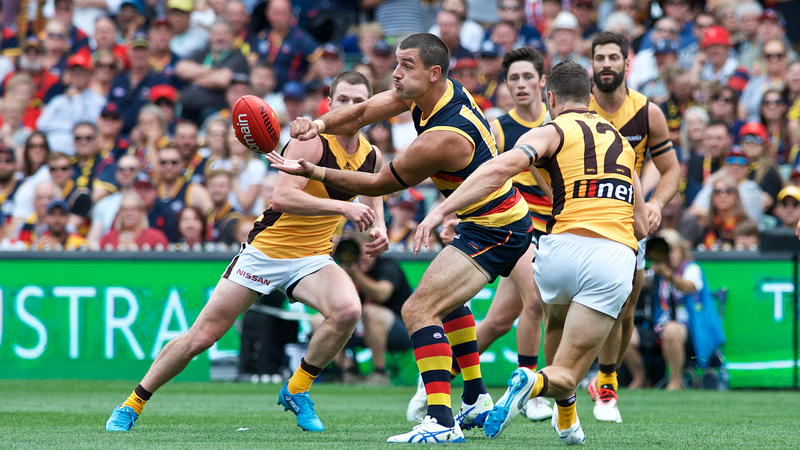 The much-vaunted forward line had a ‘mare: Tex, coming off what we were assured was a flawless summer, was slow, lumbering; while Josh Jenkins’ famously-honest Grandma would probably tell him that he stunk the joint up. Maybe they’d had a last minute Gold Coast trip we were unaware of? In terms of being so comprehensively outplayed, it was as poor an opening round loss as we’ve dished up since probably 2004, when we fronted up against North Melbourne and somehow managed to turn a 16-point first quarter lead into a 75-point loss. 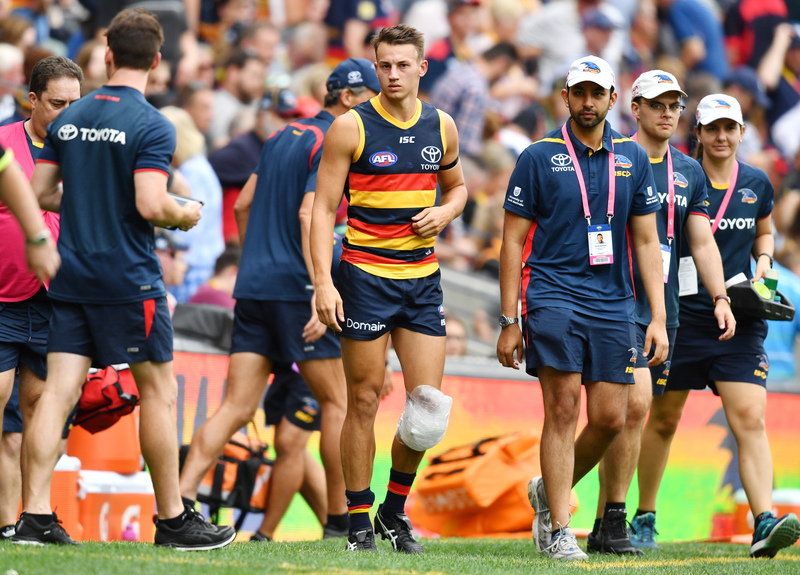 But this time, throw in the fact that we also managed to lose our sole consolation from last year’s travesty of a season – Rising Star runner-up Tom Doedee – to a 12-month knee injury, and it was as dispiriting as any first round we’ve ever played. And to think it came after such a build-up, with the Crows near-universally hyped to return to the top four. Indeed, I’m rarely known for my optimism in these matters (no, really!) but even I found myself conspiratorially telling anyone who asked in the off-season that I was “bullish” about our prospects. That’s the word I’ve been using for my team – bullish. After Saturday’s season launch though, it’s clear I got a few letters the wrong way round – and missed out the ‘t’ at the end. It was the most disappointing launch of anything in world history since the Millennium Dome. So laconic were we all about our inevitable rise, the only concern we had about that trade with Carlton when we swapped two first-round picks for one of theirs on Draft Day (or, as Blues supporters tend to call it, ‘Grand Final Day’), was whether they’d accidentally win a couple of games. After all, they could have – by their own lofty standards – a remarkably good year, and we’d still end up with the highest draft pick we’ve ever had. I’m still not sure what the allure is of the Draft – a bizarrely-televised event that is kind of like the Brownlows, except much slower-paced and you don’t know who any of the players are. In the event, of course, the whole enterprise is inevitably a bit like The Phantom Menace: hyped beyond all proportion and once it finally starts you realise it’s actually quite dull and goes way too long. And you already know the character you’re most enthusiastic about will ultimately join the Dark Side anyway. 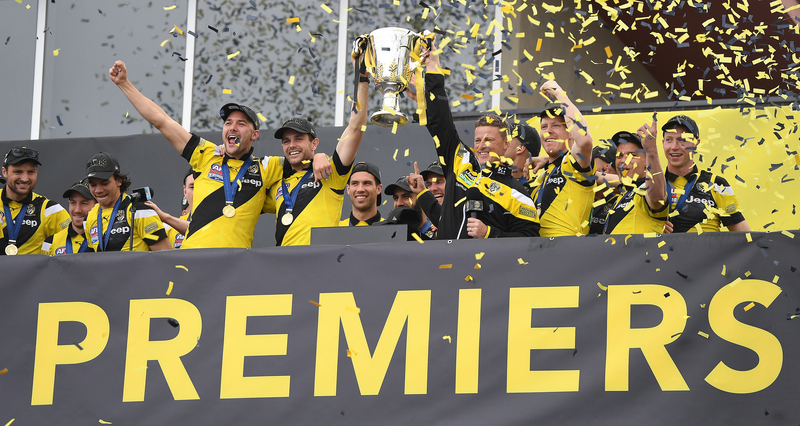 Still, never before had I been so excited for the annual tedium of the Richmond v Carlton season opener, even anointing the Blues my “second team” in 2019 (albeit in a ‘tanking for draft picks’ kinda way). 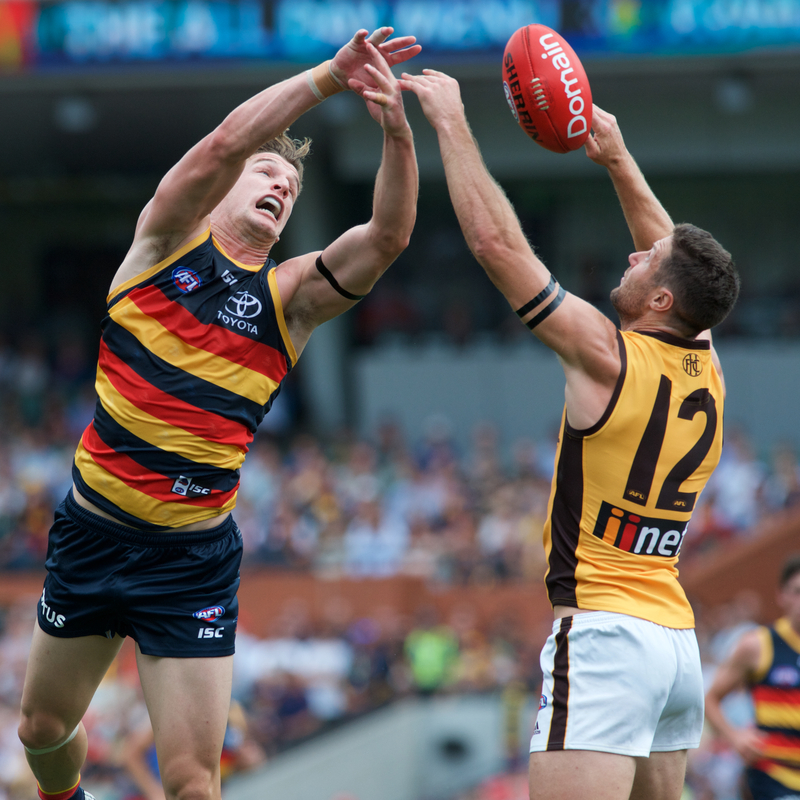 Thus it was all looking so promising for the first 30 minutes or so of the season, as Richmond skipped out to an ominous 33-point lead over a hapless Carlton, the goal-rush triggered by marquee recruit Tom Lynch, whose 2018 was spent a fair bit like ours: getting increasingly sick of being asked about the Gold Coast. In the event, the Blues showed some fight and dash and the game ended on that same quarter-time margin – leaving the ominous prospect that it’s the Blues that will end up with our top five pick, rather than the other way round. Frankly this horrifying prospect never even occurred to me in my pre-season hubris. I’d even spent the build-up to Round One helpfully sending news articles to friends who follow teams such as Freo or St Kilda, kindly alerting them to whatever latest travesty had befallen their club of choice. You see, that’s the thing about off-season. You can lull yourself into believing the hype, the happy rhetoric emanating from your team’s designated spokesmen, for whom at least the PR coaching appears to have rubbed off. Or in this case, when your team runs through the banner ahead of Round One, it can still be perfect. They haven’t made any mistakes yet – no dropped marks, no ludicrous turnovers in the forward-50, no David Gallagher-esque shanked drop punts on the run in front of goal. And then the first ball is bounced, and they turn out to be just like… well, just like last year. And it’s worse still because, after the torment of last year (coming, as it did, on the back of the failed Grand Final), I deliberately and genuinely took the summer off from sporting fandom altogether. I barely followed the exploits of the Australian cricket team (which, under the circumstances, was probably for the best), mostly ignored the pre-season hype and threw myself into normal everyday life. We even got a puppy a few weeks back, which meant it was the first time since the 2006 season that I had to worry about Parvovirus. I did, indeed, what the players were told to do: “switch off”. Have some fun. But fun, we were told, was the buzzword around West Lakes this pre-season. It was the Summer of Fun. Footy was fun again, they had fallen in love with it afresh and all was well with the world. It may, however, be timely to point out that the best way to convey this newfound sense of joie de vivre is to Not play like absolute shite. Then we can all share in the fun. Because Saturday was, I believe I’m correct in recalling, No Fun At All. Not a jot of fun did I have. A quick confession: earlier on Saturday I was cleaning the bathtub after giving the dog a shampoo, when my hand slipped on some suds and I stacked it head first into the bath. Fortunately (or so I thought) nothing was irreparably broken apart from my dignity. In hindsight, of course, sitting in a hospital emergency department awaiting X-Ray results would have been a comparatively pleasant way to spend the afternoon. 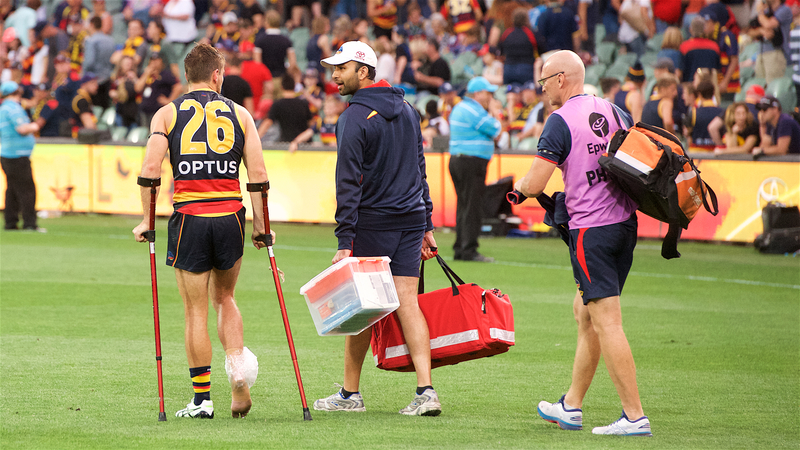 The footy was Even Less Fun than breaking a limb. My lone, tiny consolation after the match was that my Footy Express bus home was virtually empty. Which no doubt means the State Government will axe it before our next game. Still, another prospective consolation emerged as the round wore on – that it really was one of those weekends. The kind that has come to be colloquially called ‘a Tipster’s Nightmare’. Back in early 2002, the Eagles, coming off a bottom-three finish, upset the then-reigning premiers Brisbane by seven goals – so there was a certain symmetry in what happened at the Gabba on Saturday night. Meanwhile, supporters of Melbourne, Sydney, North, Collingwood and Essendon might be similarly pondering today whether they got a touch ahead of themselves. Indeed, it looks likely we’ll be in a serious scrap with the Bombers for the prestigious “most overrated off-season team” award this year, which is nice. Particularly since Essendon’s premiership drought now stretches back nearly as far as ours, only just squeezing in a flag at the turn of the millennium. Back in those days, Kevin Sheedy used to tell supporters they should expect a premiership once every seven years on average. That lofty expectation became so ingrained that Bombers fans spent years being genuinely annoyed that they ‘only’ won one flag during their three years of dominance from 1999. You’d imagine, after the almost two decades that have followed, they’d take that one flag in a heartbeat. I mean, maybe they still will win a flag once every seven years on average. Maybe they’ll get a run-on and skew the sample. Premierships, after all, can be like buses: none come along for ages and then you get two or three all at once. I mean, on average, we’ve still won a flag every ten years since 1997, which doesn’t sound too bad when you think about it. But that’s the thing about averages. They don’t tell the whole story. And the whole story is that for much of that time we’ve been very… well, average. So average, indeed, that I would have been content to hang up the proverbial boots before this season, and keep my chasm of despair to myself. In the end, it wasn’t the Crows, but something else that brought me back. Yep, Port Adelaide. The Power. (Or ‘Port Power’, if you want to annoy the nuffiest of their tribe, even though they literally christened themselves that a quarter of a century ago). You see, there’s something I’ve never quite got about the Port tribe. No, it’s not their wilfully blind adherence to that “One Club” never tearing itself apart silliness, even though it is clearly a massive ruse and their supporters – much as they protest otherwise – all know it, somewhere deep within their wretched souls. I’ve been writing on the travails of the Adelaide Footy Club since 2014 – more than 15 years after our last flag. Since then, we’ve frequently disappointed, occasionally inspired and once even almost reached the point of ruining my entire premise. But through all the years since, the general tenor has never really varied, and it is one, I think, shared by a reasonable core of Crows supporters. That our lot is a grim ordeal indeed. This year, however, Port will close on that exact same amount of time since they last (ever) won a flag – 15 years. And yet, their supporters never seem terribly put off about it all. 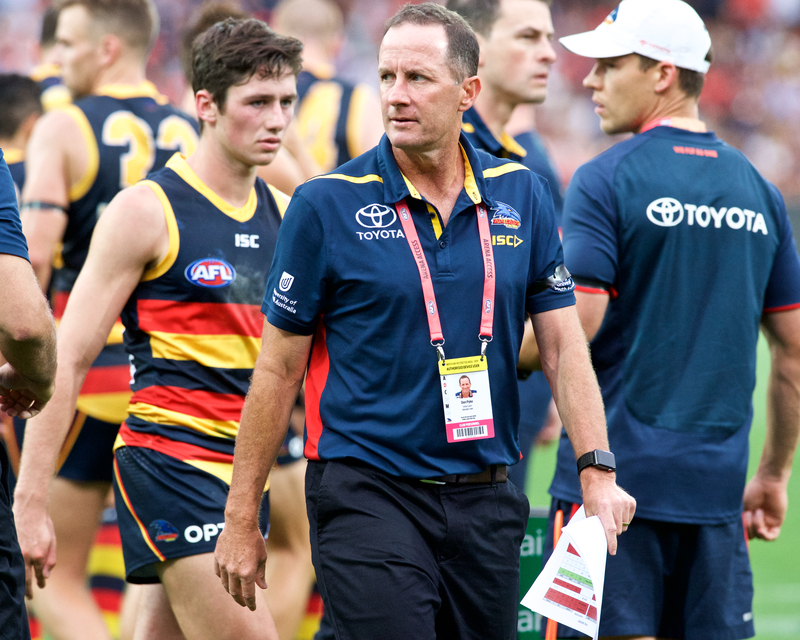 Sure, there have started to be the odd rumblings about Hinkley, or Kochie, or both, but – even with the broad off-season consensus putting them further from, rather than closer to, a second trophy – they still reel out the same gag about the Crows not winning any premierships this century and seem a world removed from the despondent tone of Fumbleland circa 2014. So, as much as anything, it was Port’s flag drought – rather than ours – that brought me back. They had, after all, endured (as the vernacular goes) A Troubled Off-Season, beset by major injury and minor scandal; Paddy Ryder’s cheekbone was depressed, and so – uncommonly – were Port supporters. First there was the Very Important ‘Let Ollie Ski’ campaign, and then their Grand Unveiling of new major sponsor GFG Alliance was hijacked by quite legitimate questions to owner Sanjeev Gupta about the company’s recently-revealed tardiness in paying stakeholders. 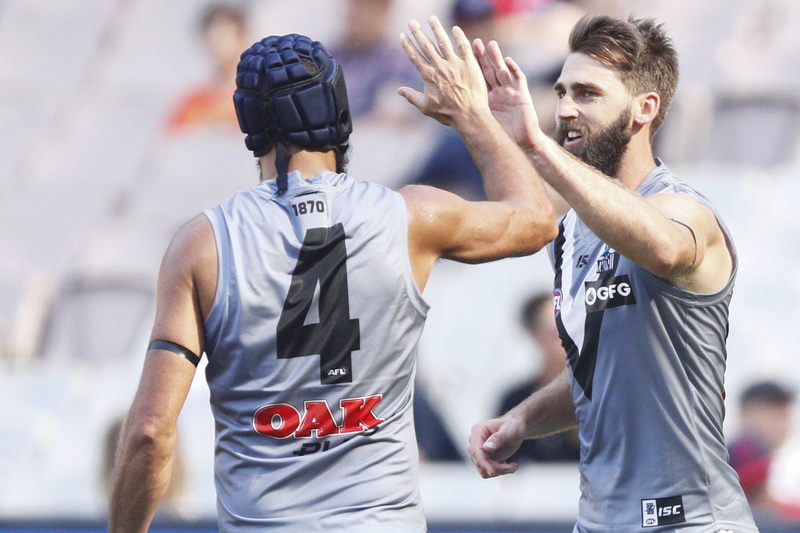 Seriously though, GFG Alliance was a great get for Port, and a perfect fit for the club – as they both keep their supporters waiting for a payoff. Then we had the amusing spectacle of Port supporters, largely unflappable about winning a single flag in 21 years, taking to social media to threaten to cancel their memberships because their club appointed two captains instead of one. And as it turned out, Pepsi gave an effervescent performance against his flat former side on Saturday, as his rebounding defensive work helped to give Port a sniff (sorry!). 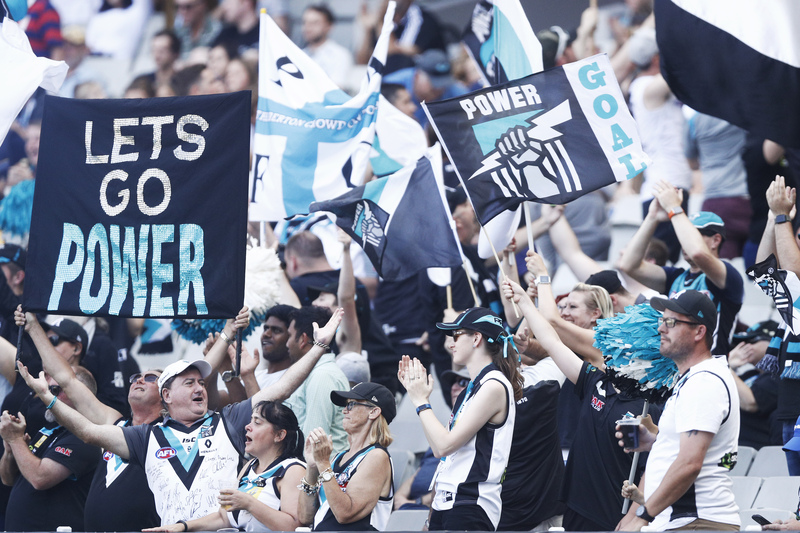 Ken Hinkley described the victory over the Dees on the road as “the best win I’ve been involved in at Port Adelaide, including finals” – which should have been a fair indication of which way my weekend was heading. Incidentally, Port play Carlton this week (as do our women’s team, indeed), which is really going to test my resolve about who to barrack against. At least this year though, we don’t have to wait till the Grand Final (or even round three) to find out how bad we are. Often we start in a blaze of glory and leave the heartbreaking losses until the end, so this way could save us a lot of time and bother. And I can’t really blame the players for evidently buying so thoroughly into their own hype, because after all – so did I. And the likes of Carlton have at least mostly played at the level expected of them. For there’s something about continually believing we can be better than we are that seems to somehow inform our self-perception. Which, after all, is at the heart of being a South Australian, isn’t it? 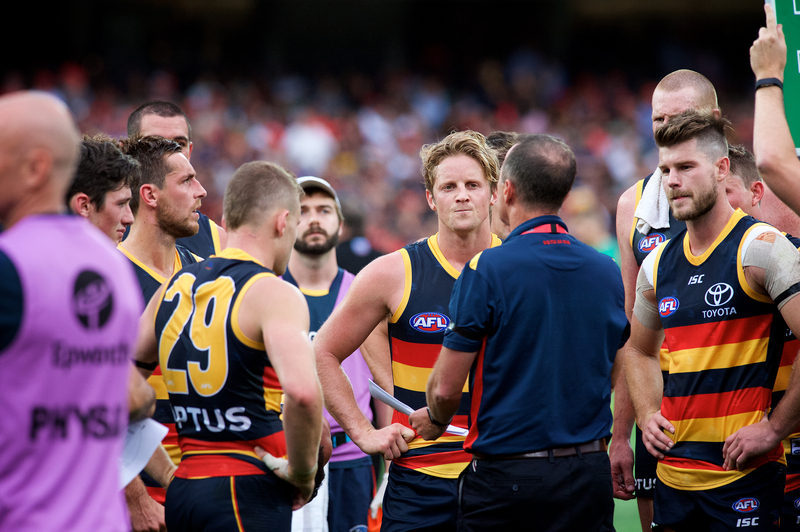 So a quick debrief for the Crows players still standing after Round One: please never again let anyone convince you you’re good unless you actually do something good. For you’re collectively a lot like my new dog: sure, I love ya; but the truth is, you stink and are often just quite annoying. Especially when you inadvertently crap on the floor, which is what you metaphorically did on Saturday. So, another 21 rounds beckon, with our pre-season enthusiasm already evaporating into the creeping realisation that at every turn disappointment stalks us like a mangy cur waiting to darken our proverbial door with its maleficent turd. Let’s see how fate can crap on our doorstep again this year.